Source/ Courtesy: IndianTelevision.com: It’s getting customer-focused. 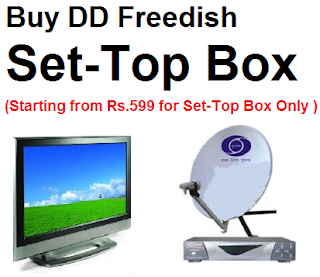 Almost as if inspired by the services provided by the private DTH providers such as Tata Sky, DishTV, Videcon d2h, Airtel Digtial TV, and Sun Direct, the Doordarshan-promoted free TV provider DD FreeDish is getting set to launch its call centre facility. It is taking this step concurrent with the expansion of its channel capacity from 80 channels to 104, courtesy the move to upgrade its set-top boxes from MPEG2 to MPEG4. 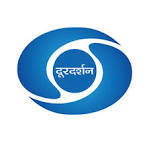 A senior Prasar Bharati official yesterday confirmed while talking to indiantelevision.com that a call centre would be set up after completion of MPEG4 Switchover. Once customers buy their iCAS-enabled and approved set top boxes from authorized retailers, they will then have to make a call to the FreeDish call centre to get their STB registered. This will then allow DD’s engineers to keep a tab on the number of subscribers the DTH platform has. The call centre would be set up after the total switch-over to MPEG4 when a centre number on which a subscriber could call would also be given, the Prasar Bharati official said. DD has been plagued by a lack of subscriber information to DD FreeDish over the years. The pubcaster created the platform but sold the MPEG2 STBs through retailers without keeping a tab on who was buying them and who is active. Estimates are that its subscriber base could be anywhere from 20 million to 40 million.